Flash cards don’t have the most “fun” reputation, am I right? The utterance of the term brings about the specter of a coming test; of hours or repetition in your bedroom….memorizing, guessing, and re-guessing until either you have the facts implanted in your brain, or you fall asleep on your bed. Either way, it’s not a fun prognosis. But! For eons, the same was said concerning learning a second language; that is, until a now-famous app called “Duolingo” arrived. The app gamified the traditionally arduous task of learning new languages….combining the use of digital flash cards along with an almost platforming-style of quiz gaming, making it a top name in the Play Store. Now Duolingo has finally brought a similar approach to all kinds of academic topics, with Tinycards. 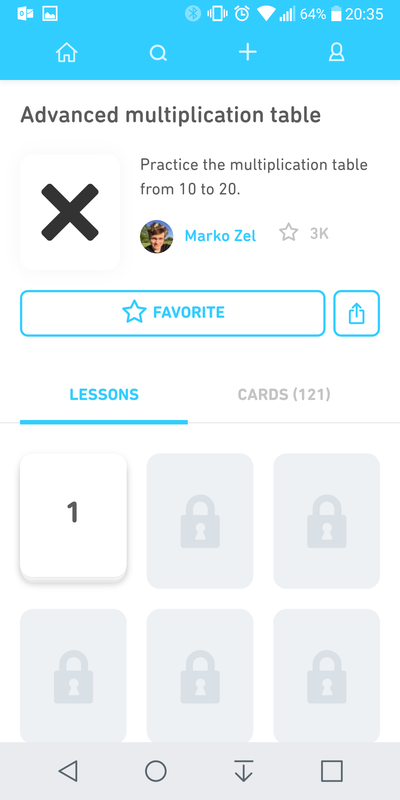 Tinycards is a free, kiddo-friendly app that allows you expand beyond language, choosing the subject you want, and you have (usually) multiple stacks of flash cards to take on. 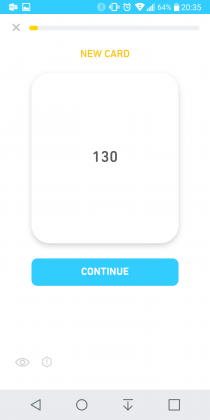 After downloading from the Play Store, you either register or log in (you can log in with your Duolingo credentials, or other social media options). Once in, you arrive at the app’s home screen. Here you have four tabs across the top: Home (we’re going to unusually wait to cover this one to the end), Search, Add (more on that in a minute), and Profile. Lets’s start with Profile. Here you can edit your profile, and adjust multiple settings (notifications, username, password, audio settings, profile photo, etc). Nothing out of the ordinary here. So with that out of the way, let’s move to the meat of the app: the Search tab. Here is where you simply type in your subject keywords, and a corresponding match list of card stacks appears. You pick one and off you go. Playing a stack is pretty ingenious. 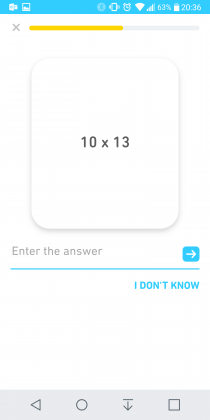 In all cases, you start very simple: you get 2-3 flash cards; clicking on them flips it giving you the answer right off. 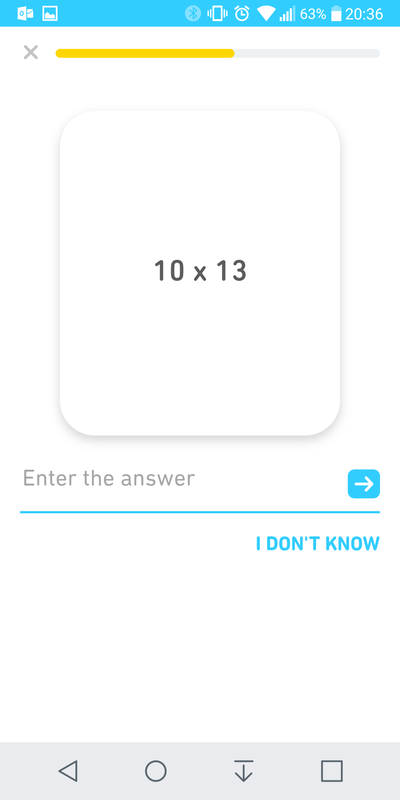 After these first tutor cards, the app gradually starts inter-mixing quiz-type cards. These start off as multiple choice, but can also evolve into fill-in-the-blank and other more interactive questions. As you progress through the cards, you complete a “level”. As with a platforming-type game, you continue to level-up, graduating to harder and harder content for you to master. The app does have a social aspect to it, too. 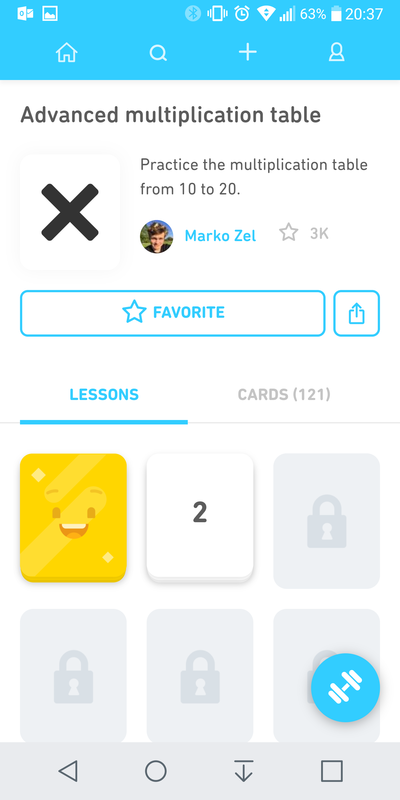 Primarily, while there’s a base level of cards created by Duolingo, there’s an awful lot more that have been created by other app users. You can choose to play individual card decks from a given user, or you can “follow” that person to get notified of any new content put out by them, as well. You can be a creator, too! This brings us to the Plus (+) tab of the app interface. 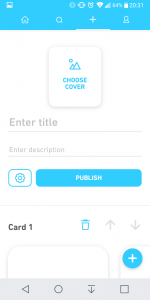 Here you can select create, customize, and publish your own Tinycards content for others to enjoy. You can choose to share more privately or put them out for all to enjoy; your call. If you’ve tried the Duolingo language app, then Tinycards will feel immediately familiar. The colors are bright but simple; no busy screens to be found here. The interface is extremely friendly, with smiling faces and non-threatening visuals all-around. The same can be said for the audio; there’s little in the way of background sounds. When you get an answer right you are rewarded with a bright chirp. If you get one wrong, the resulting sound isn’t punitive, but more of an “uh-oh! let’s try that again” sound….almost encouraging. My kiddos loved it as it made a tougher set of cards a lot less discouraging as they tried to conquer it. 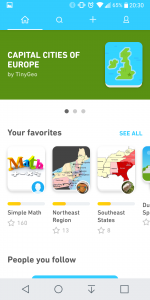 As a dad to school-age kiddos, Tinycards is a fantastic app for their devices. It’s a killer downtime filler; for the car, for a waiting room, for any downtime where if they want screen time, you can at least make it productive in addition to fun. It’s an app I do not see leaving anyone’s device for the foreseeable future. Download Tinycards on the Play Store here. 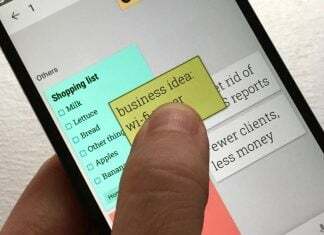 Tinycards is one of the best learning apps in the Play Store. 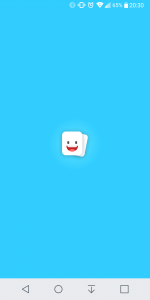 Made by and similar in style to Duolingo, Tinycards offers a great combination of interesting gameplay in an educational style along with good-looking but simple visuals. This combination makes you want to keep "playing" this app over and over.